this is the perfect solution for all. So should you worry what power-plug adapter to bring to Thailand… No need, except when you live in the UK, Australia, New Zealand, Pakistan, Kenya, Ghana or Nigeria. It makes you wonder why this outlet is not being used more often in hotels around the world. A lot of people run into problems, trying to charge their phone or camera. But coming to think of it, it could create a whole new problem for 220/240 Volt countries; namely Americans or Japanese burning their hair with a 110 Volt blowers, or ironing a hole in their partly synthetic blocked trousers. Okay, all the outlet needs is a built-in power limiter, blocking the use of such equipment, which is out of safety reasons a pain in the neck of many hotels anyway. So Chinese entepreneurs go ahead and start making these and get rich.. 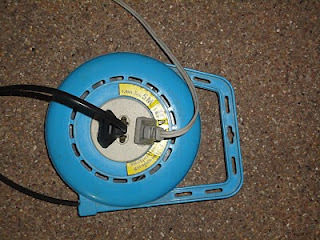 In Thailand the round prongs of high power plugs are bigger with a slightly wider base, so they will not fit in these outlets and often have a third prong for grounding. Funny enough even the plastic cased power supply of laptops here are grounded as well, so they have a three way plug, making them unsuitable to use in any hotel or almost anywhere else. The other day I surprised a Thai having problems here to plug the adapter of his newly bought laptop in, by simply ripping the third prong from his plug. He was happy his laptop power supply miraculously seemed to have survived my bold action, but was worried about the safety. Assuring him that grounding is only to prevent people to come in contact with metal parts which leak from the mains, he happily started his Hi5 which seems to be the dominant social network here. 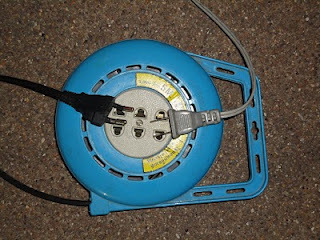 I have found that these sockets will also accommodate the Australian 2 pin plugs as found on double insulated items, like laptop, mobile phone, and camera chargers, should one not have an adapter. I'm not sure because I saw Australian laptops here having a three pin plug as well.